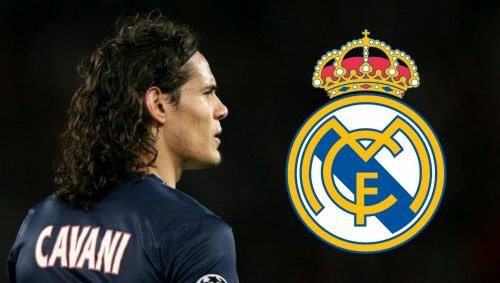 Could Edinson Cavani solve Madrid's striker crisis? Real Madrid are undoubtedly one of the biggest clubs in the world, which in turn means that they're able to attract some of the biggest stars in football to join them. In the summer they spent around £145m on players, but this is nowhere near the full amount in their transfer budget; and because they've managed to sell players for a total of £120m, they still find themselves within the financial fair play regulations. This means that Madrid could still very well splash out a great deal more in the January transfer window on top-tier players, without it affecting their financial status too much. Los Blancos currently sit 4th in LaLiga, 5 points off the top spot. They know now that their current team simply isn't good enough to win the league outright, which is naturally their objective every season, so they need to invest next month or they could be destined to fall under par. Madrid are often linked with virtually every high-profile player, but in this list we'll go through their top five transfer targets and determine just how probable each one is. Thiago is a 27-year-old central midfielder who plays for Bayern Munich in the Bundesliga. He has also featured for Spain's national side, having made 34 appearances since his debut in August 2011. Since he moved to Bayern Munich from Barcelona in the summer of 2013, he has won a plethora of silverware, such as German League (x5), German Cup (x2), UEFA Supercup, German Supercup (x4), and FIFA Club World Cup. Real Madrid were heavily linked with Thiago in the summer, hoping that he would serve as a replacement to Mateo Kovacic, who had just left for Chelsea. But no deal materialised and so he stayed where he was. This time around, though, Madrid will certainly be far more eager to get their man, especially if they're serious about winning La Liga this season, because it's already started to slip away from their grasp. 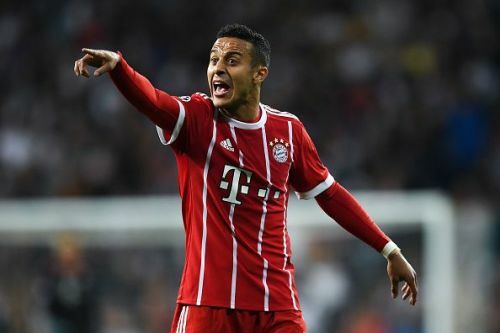 Former Madrid manager, Julen Lopetegui, had asked specifically for Thiago in the summer, but Bayern Munich's chairman Karl-Heinz Rummenigge refused to allow the player to leave. Now, Santiago Solari has the reins, but it's believed that he's also interested in the Spaniard, and isn't put off by the fact that Thiago has recently signed a contract extension until 2021, which will inevitably hike up his value considerably. A transfer would be likely, but only if Madrid are prepared to make a big offer.